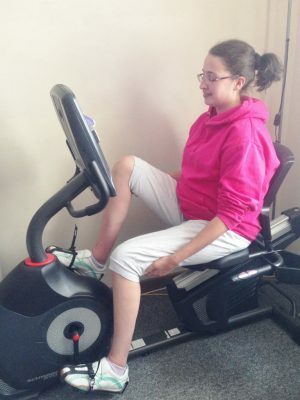 Aimee likes to keep fit on her exercise bike but because of her MS her feet won’t stay on the pedals, even with the toe clips. So Ashley Slater, a volunteer with Remap Essex North, made extra heel supports. 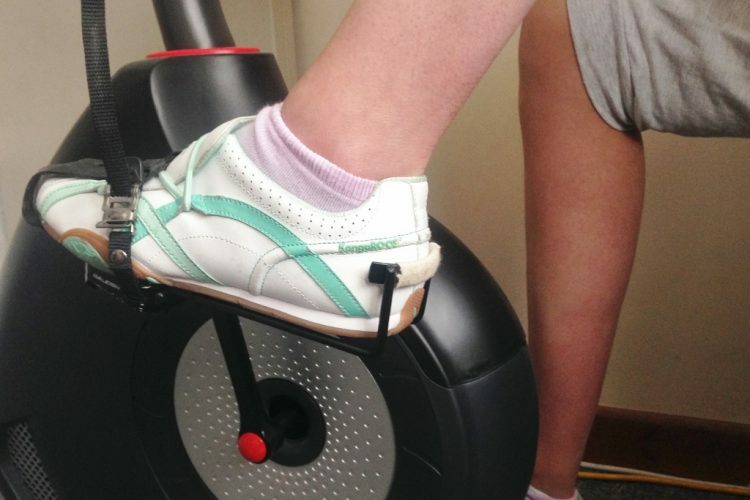 These keep her shoes in the correct place on the pedals and Aimee can cycle away to her heart’s content.